The war memorial in Horndean is recognised by everyone, but something feels just a bit out of proportion with the lamp at the top. The base is large, and suggests something magnificent was once displayed, but the small lamp is obscure and tiny in context. 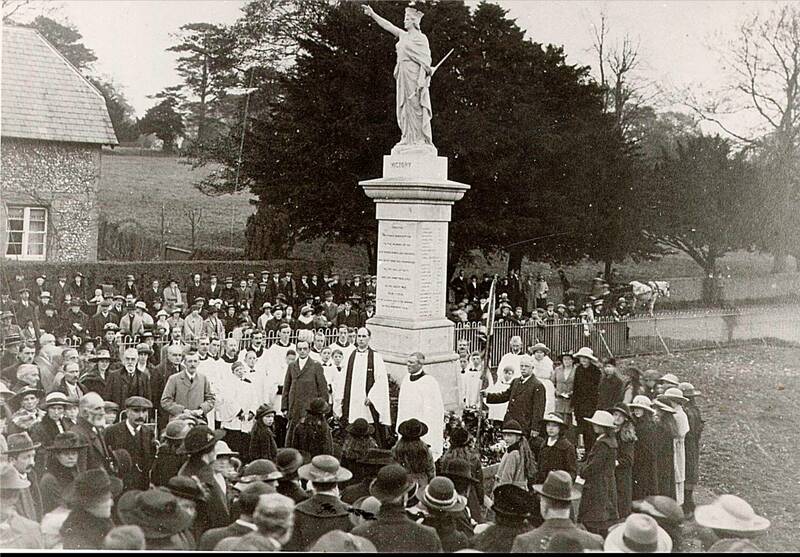 The original monument was dedicated on July 21, 1920 and was unveiled by Lady Drury-Lowe. 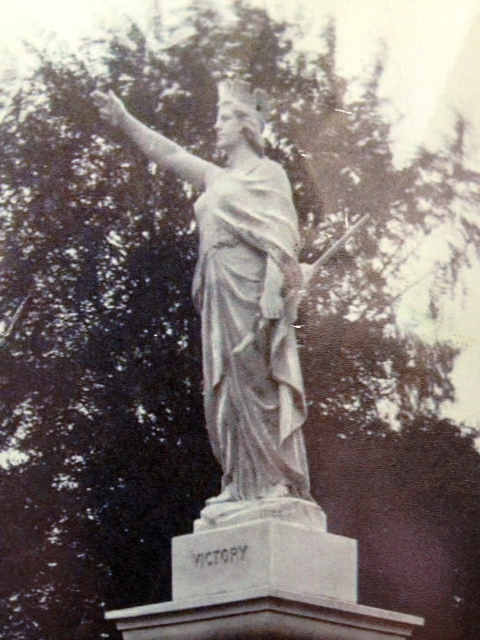 The statue displayed the ‘Goddess Of Victory’ which stood 2 metres tall. In 1964 there was a car accident and the statue was damaged beyond repair. At the time there was no option other than to take the Goddess down and replace her with a more modest and affordable symbol, the lamp that is there today. 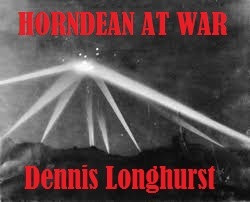 These photos (I assure you they are of Horndean) show the Goddess and how the focal point of the village has since changed. 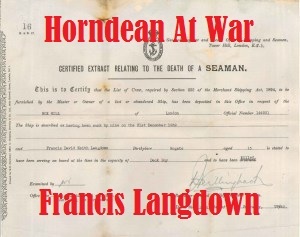 Horndean Parish Council have for the last months been in discussions with specialist statue makers in the UK and abroad, and also in detailed dialogue with organisations such as the War Memorial Trust who have strict parameters for work on war memorials requiring them to be reinstated in their original form. 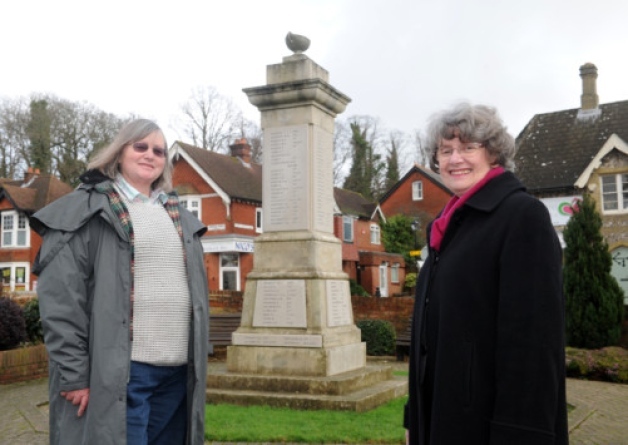 At the moment the Parish Council are hoping to conclude a contract for an identical replacement statue to be made, and installed before the 100 year anniversary of the start of World War 1. Cllrs Schillemore and Evans on behalf of Horndean Parish Council are leading the project, and it is hoped this image may one day contain a Goddess (in addition to the two Councillors in the foreground). Since it was erected the names of the Second World War casualties and one from Afghanistan have been added making a total of 115 names on the monument. Monies were originally raised by public subscription and the council is hoping local businesses and residents give whatever they can afford to support the reinstatement and help find sufficient funds to support the grant funding that is being applied for now. If you would like to know more about making a contribution to the fund then please Email contact@horndeanpc-hants.gov.uk or call (023) 9259 7766. Details please about your project, I write for the Armourer magazine. 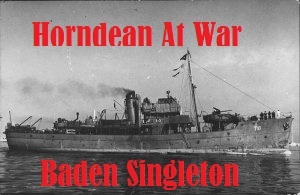 HI Ken, I have forwarded your contact onto Cllr Sara Schillemore who is leading this for Horndean Parish Council. If you don’t hear from her within a few days, please can you let me know? thanks, Guy.